Whether you own a Microsoft Surface Pro, Surface Book, Surface Laptop, or a Surface Go, there may come a time when your Surface won't turn on. Fortunately, there are several relatively simple solutions to fix a stubborn Surface and get it back up and running again. If you've been using your Surface Pro or another Surface device for an extended period without having it plugged in, its battery may have run out of power. 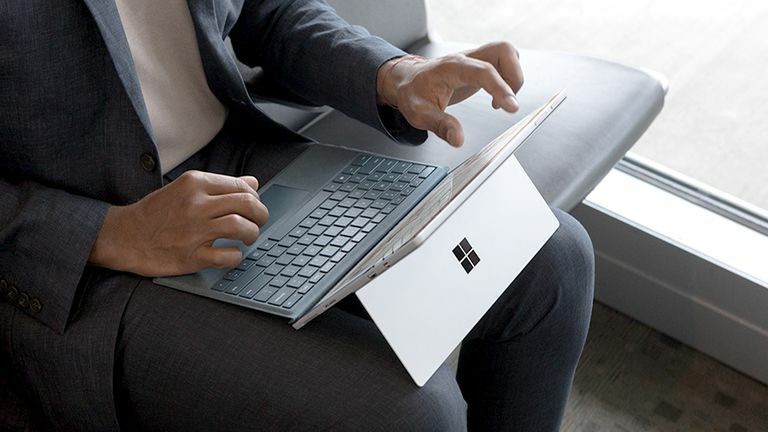 If this is indeed the case with your Surface, you can plug in the charging cable and press the power button on the top-left corner of the device. You don't need to wait for your Surface to fully charge before turning it on. A Surface can be turned on as soon as it's connected to a power source. If your Surface still refuses to turn on even after it's plugged in, it's possible the charging cable itself may have become damaged. The easiest way to tell if your charging cable is damaged is to check the small white LED light on the end of the cable that connects to the side of your Surface. While plugged into a power socket, disconnect the charging cable from the Surface and plug it back in again. If this works, your Surface and cable are fine. With the cable plugged into the Surface, pull the power out from the power socket, then plug it back in. If the light turns on and your Surface begins charging, then you've just experienced a small glitch and have nothing to worry about. Plug the cable into a power source and the Surface, then run the length of the cable through your hands. While bending the cable slightly in different places, keep an eye on the charging light. If you see it flicker on as you move the cable, this means the cable has been damaged and needs to be replaced. If the light doesn't flicker or light up at all, the reason for your Surface not turning on likely lies in the device itself and not the cable. If your Surface computer refuses to turn on or has frozen, a common way to fix it is to perform a soft reset. A soft reset is simply a way to force a computer to restart without affecting any files, settings, or programs. This is very different than a hard or factory reset. Here's how to do it. Press and hold the power button on your Surface for 10 seconds. Release the power button, then press it as you usually would when you turn on your device. Your Surface should now turn on. If the soft reset didn't turn your Surface on, you can try a force shutdown which is similar to the above method but is slightly longer. The force shutdown method varies by Surface model so make sure to use the correct method for your device. Press the power button for around 20 seconds. When you see the Windows logo on your Surface's screen, release your finger from the button. Press the Surface power button for 30 seconds. Release the power button, then press and hold the power and volume up buttons simultaneously for 15 seconds. Release both buttons, then wait for at least 10 seconds. Press the power button as you usually would when turning it on. Your Surface's screen may flicker or display logos during the above steps but it's important to ignore this and to continue pressing the stated buttons for the time required. These three Surface models do not have a force shutdown method. If you have a Type Cover, Touch Cover, or other keyboard attached to your Surface, you can attempt to turn on your computer by pressing Ctrl+Shift+B+Windows key. If you don't have any keyboards attached to your Surface, you can also try turning it on by quickly flicking the volume up and volume down buttons back and forth three times. Sometimes having devices connected to a Surface Book, Laptop, Go, or Pro can affect its ability to turn on properly. If your Surface still won't turn on, disconnect all keyboards, mice, and other USB devices from it before pressing the power button. If you've tried all of these solutions and your Surface Pro won't turn on, you may need to get in touch with the store you purchased your Surface from or Microsoft's official support service. Official Microsoft Store locations offer technical support to customers, and you can also chat with support personnel via the Microsoft Support web page.